﻿ McDonald's Greenhouse & Corn Maze - Ohio. Find It Here. Bring the entire family for a wonderful fall experience! 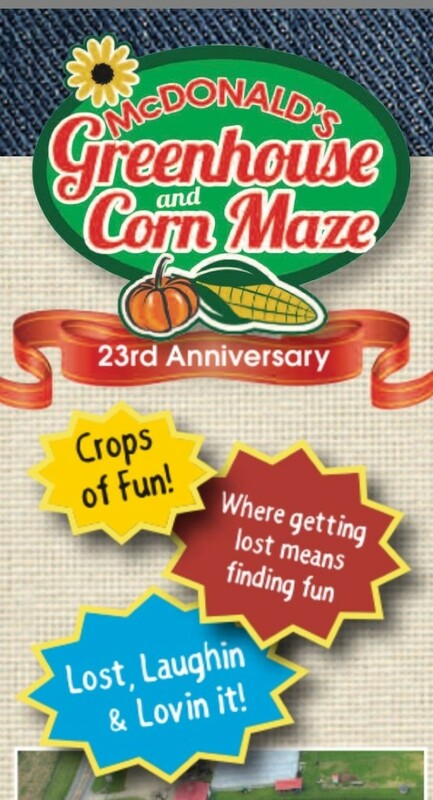 Find your way out of the five-acre corn maze. Come out to the pumpkin patch and choose the best pumpkin you can find. 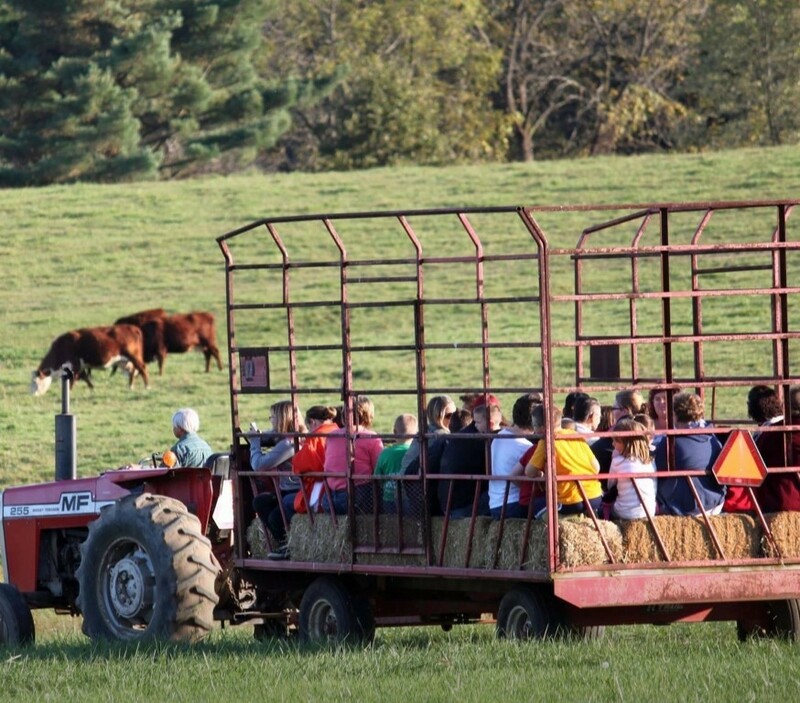 Relax and take in the fall air on a hay ride. Explore the friendly baby animals in the petting zoo. Have fun on the jumping pillow. New attractions include a Pedal Tractor Track and a Gaga Ball Pit! A giant shelled corn "sandbox" will delight the little ones. Explore educational and agricultural exhibits, including honey bees and farm equipment. Take a walk through Bambi's home, the Enchanted Forest. Don't forget to grab some garden mums, apple cider and other fall favorites on your way out! Open weekends mid-September through October. Other times by appointment. Groups welcome. Bonfires available!